 Genuine Product @ Affordable Price! S-Auto Engrg & Trading is the sole distributor for BIKEVUE™ products in Singapore & Internationally. Beware of any imitation products that claimed to be BIKEVUE™ or similar design. Only BIKEVUE™ products distributed by S-Auto Engrg & Trading and it's authorised dealer is genuine. This video is a property of S-Auto Engrg & Trading. After almost a year of joint R&D with major China vehicle Black Box manufacturer and incorporating the features gathered from motorcyclist's feedbacks, S-Auto introductory model of motorcycle Black Box is finally launched - BIKEVUE™ C3-HD (2-channel) our first Singapore brand Real Motorcycle Black Box, By Bikers For Bikers. 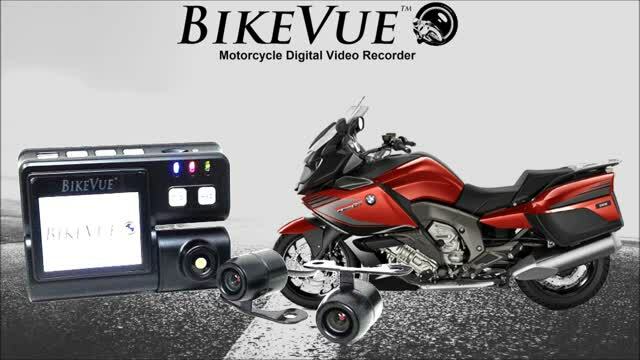 BIKEVUE™ C3-HD is the latest onboard True High Definition Motorcycle Digital Video Recorder that works just like the car Black Box. Before the product is officially launched, it goes through various actual on-road testing under different weather conditions. BIKEVUE™ C3-HD Motorcycle Black Box is onboard mounted unit similar to those professional motor racing like SBK & MotoGP onboard cam. Powered using your motorcycle battery means that you don't need to worry about drained battery like Sport Cam, just start up your bike and BIKEVUE™ C3-HD will automatically power on and starts recording. If you need parking surveillance, BIKEVUE™ C3-HD can be connected to external power bank for parking mode recording. Built-in with G-sensor, BIKEVUE™ C3-HD saves a seperated file of video when it detects a sudden changed in G-force during an accident. Compact main CPU unit can be convieniently installed into the bike available tools or rain coat compartment. 2.0" LCD screen to watch videos replay and settings configuration. Simultaneous dual screen recording of Front & Rear using mini waterproof bullet cam with 120° wide angle view. Nothing beats BIKEVUE™ C3-HD having all these features alone at such an affordable price.